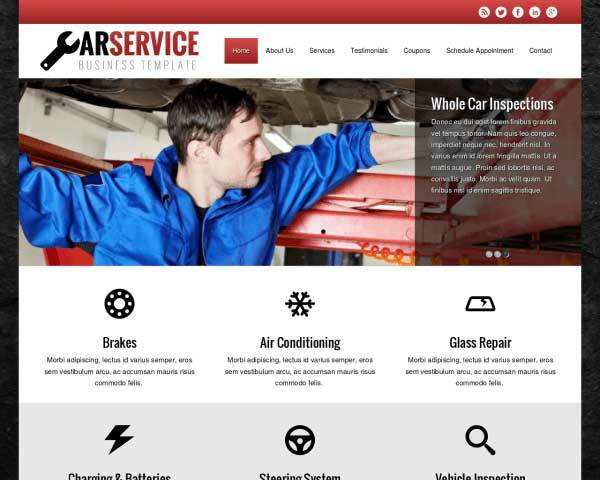 Build upon your existing client base when you build your car repair business website with the Body Shop WordPress Theme. 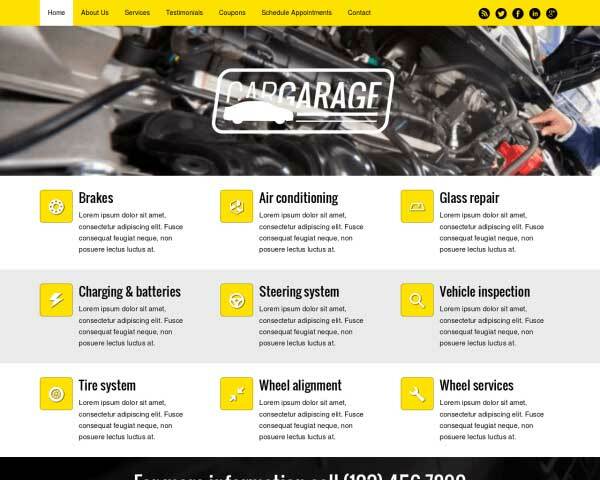 This pre-built web template is all set up to help you beautifully present your garage online and convince visitors of your friendly, knowledgeable and trustworthy service. 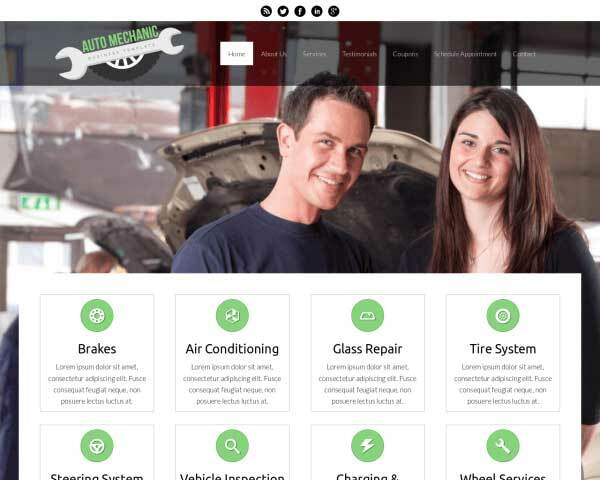 Shift your auto repair business into the next gear when you build your website with the Body Shop WordPress Theme! 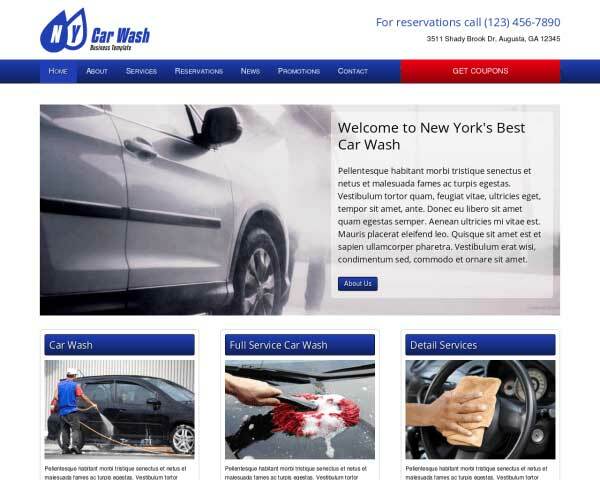 Its bright, cheery design and clean layout convey a message of friendliness and trustworthiness, and convenient features like online appointment booking and printable coupons show visitors that you care about customer service. 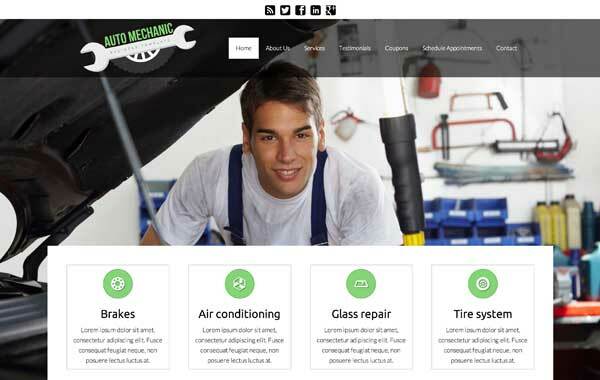 This pre-built website template for auto mechanics includes pages for your services, contact details, company profile and more, already set up with placeholder content and ready for your own text and images. If you'd like to change the color scheme or rearrange page layouts, this can all be done without any coding at all using our visual front end editor and drag and drop widgets. We've made it easy to create a custom look and feel even if you've never built a website before. You'll also get premium business features like integrated social media options, customizable contact forms and a built-in SEO manager for improved search engine rankings. Take the demo site for a spin and see how the Body Shop WordPress Theme can help your business attract new customers online and keep your regulars coming back! Customers coming in will be able to book online anytime with the Body Shop WordPress Theme's built-in reservations form. Easily customize the fields to suit your needs. 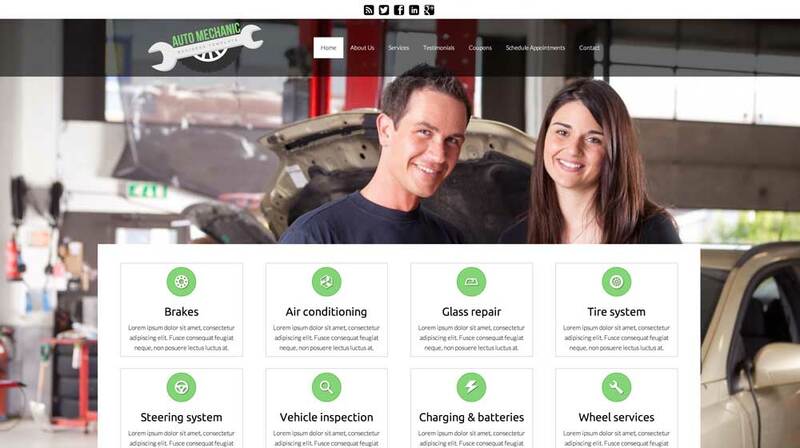 Ideal for any car repair website, the Body Shop WordPress Theme is made specifically with the needs of the service station owner in mind. 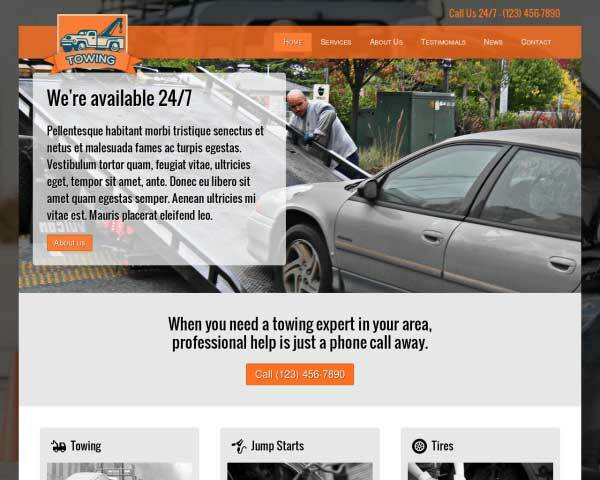 Prominent calls to actions on nearly every page of the Body Shop WordPress Theme encourage visitors to get in touch with you online without making them search for the link. 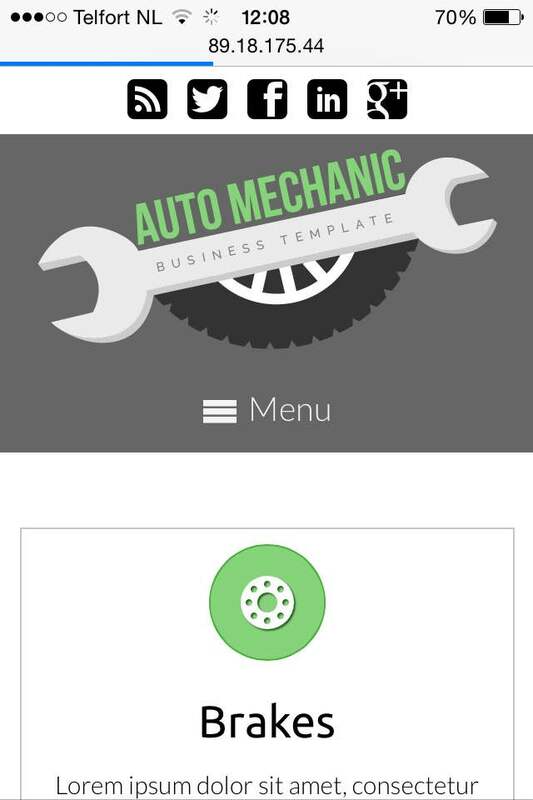 Clear contact details are important for any business, so this template for service station owners includes a feature-rich contact page with an integrated Google map and handy contact form. The Body Shop WordPress Theme allows you to link images or buttons to PDF files that customers can download and print, a great way to offer coupons online and boost new and repeat business. The full-width background image slider on the homepage of the Body Shop WordPress Theme adds an exciting dynamic element that grabs visitors' attention. 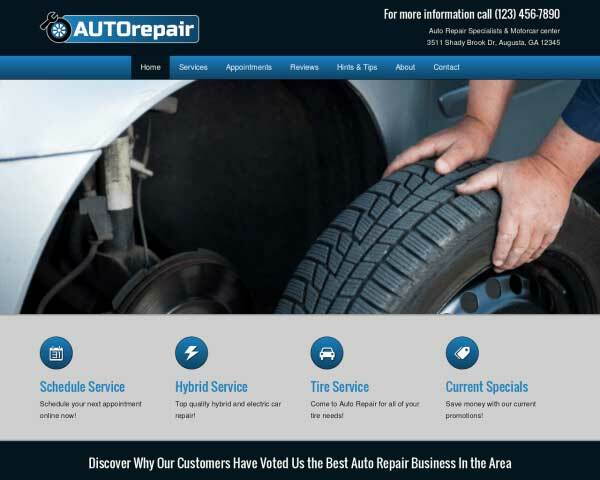 Offer clients all the information they need on the attractive service detail pages of the Body Shop WordPress Theme. 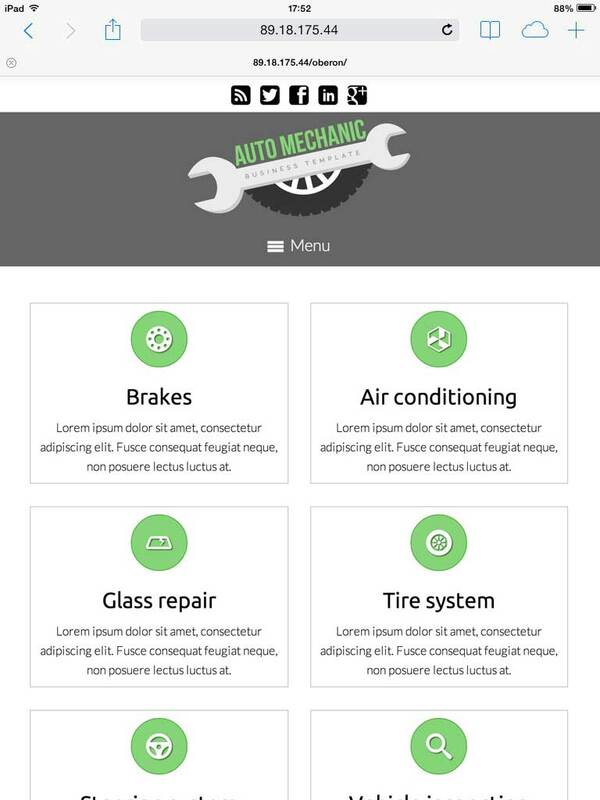 Take advantage of the social media options included with the Body Shop WordPress Theme to get the word out about your service station and attract new visitors online. Become the expert in your area, make your staff feel proud by placing them on the site and sharing something about their background and approach to business. Attractively display client feedback with the Body Shop WordPress Theme's quote widget. Just paste in your own text and the quotes will be automatically styled with no coding required. 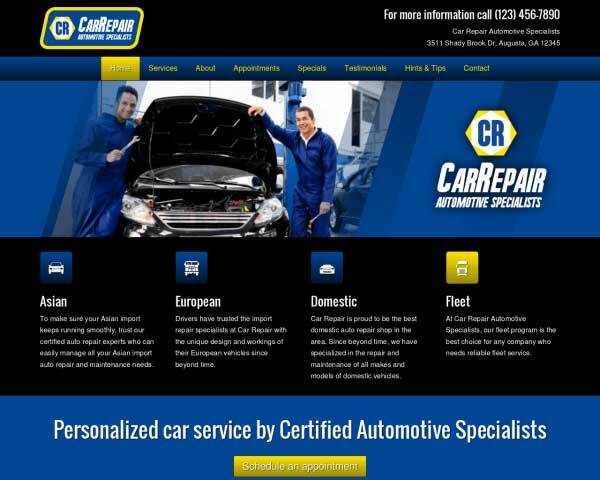 Want a state-of-the-art mobile version of your car repair website? 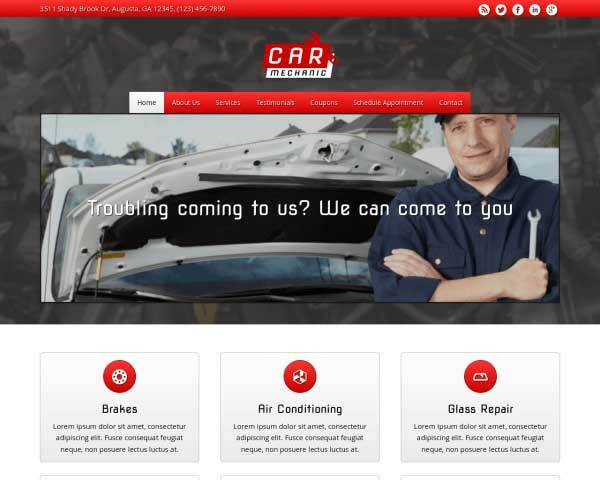 That's what you get when you build your site with our responsive Body Shop WordPress Theme! When visitors browse your pages using smartphones and tablets, they'll be treated to the same professional look and user-friendly functionality of the desktop version. Our mobile-optimized design will automatically adjust the layout of your photos and text to display neatly on any screen size, with no plug-ins, coding or effort required! As you add content to your site and as new mobile devices enter the market, you can feel confident that your website will make a great impression even on small screens.